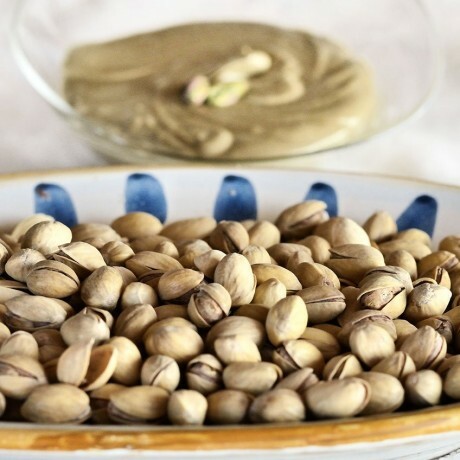 Made from 100% Sicilian pistachios, boasting of an intense aroma and a stronger, sharper taste partly due to the volcanic soil they are grown in. Won 3 Great Taste Gold Stars, listed in Great Taste's Top 50 Foods and the Sunday Times' Top 40 Foods and nominated as Best Imported Food in the 2017 Golden Fork Awards. Judges swooned over the "staggering complexity of this paste...boasting a wonderful olive green colour, natural minerality, serious depth of flavour and real umami hit..it inspired numerous uses in sweet and savoury dishes, from ice cream toppings to rubbing on lamb or wood-fired scallops. Store in a cool dry place away from direct sunlight. Once opened, consume within 3 months. Some separation is natural. Simply stir before use. 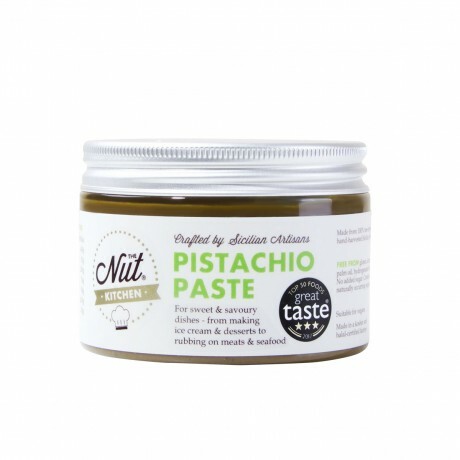 Pistachios (95%), cocoa butterl. May contain traces of other nuts. Allergens are listed in bold.